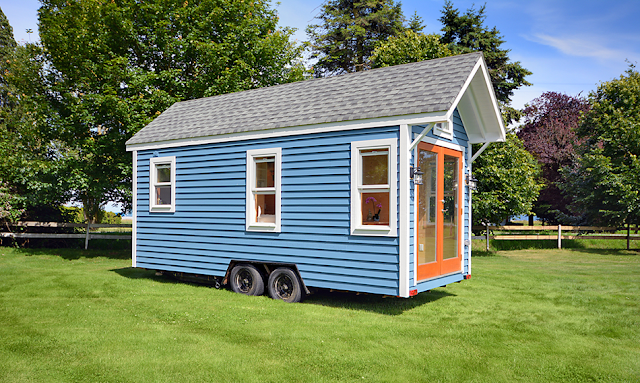 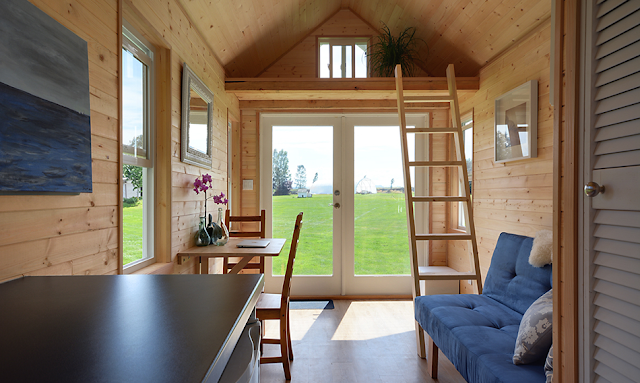 From the Mint Tiny House Company (formerly Tiny Living Homes). 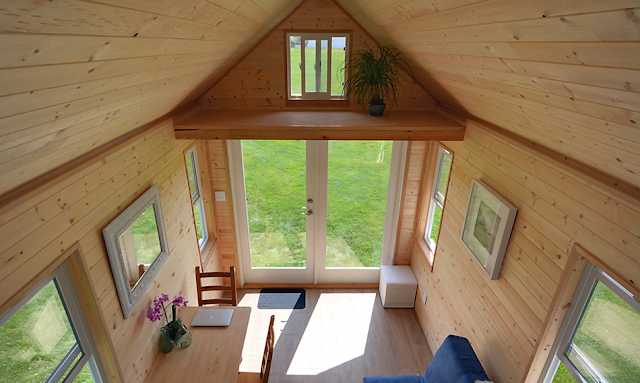 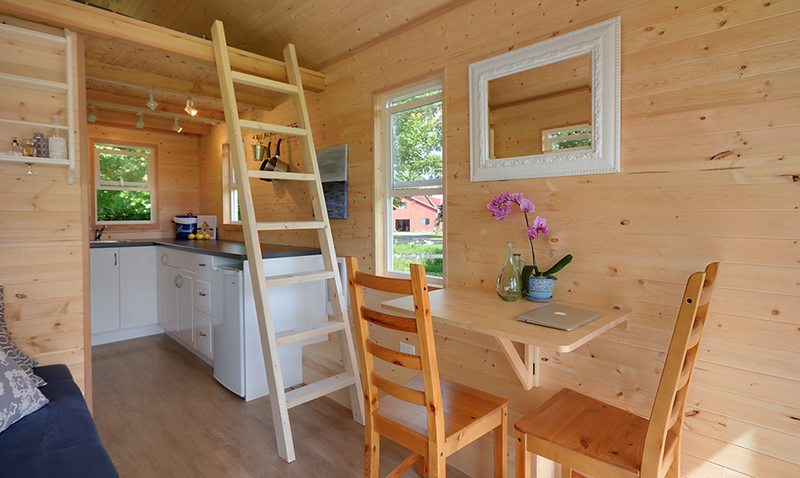 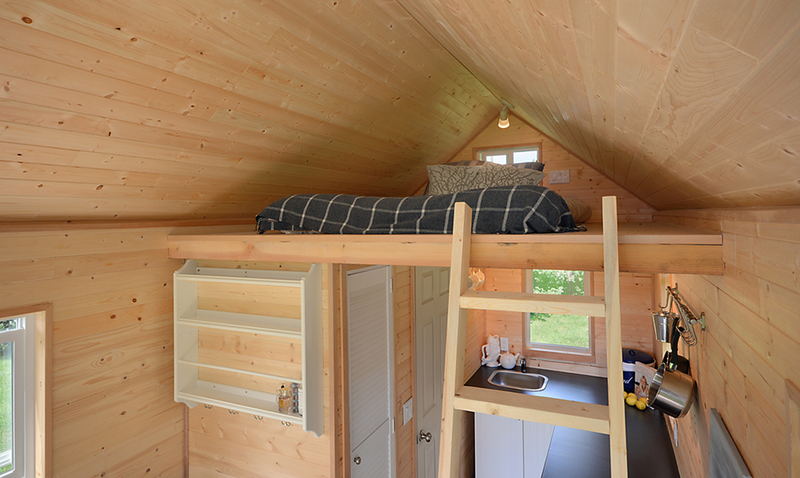 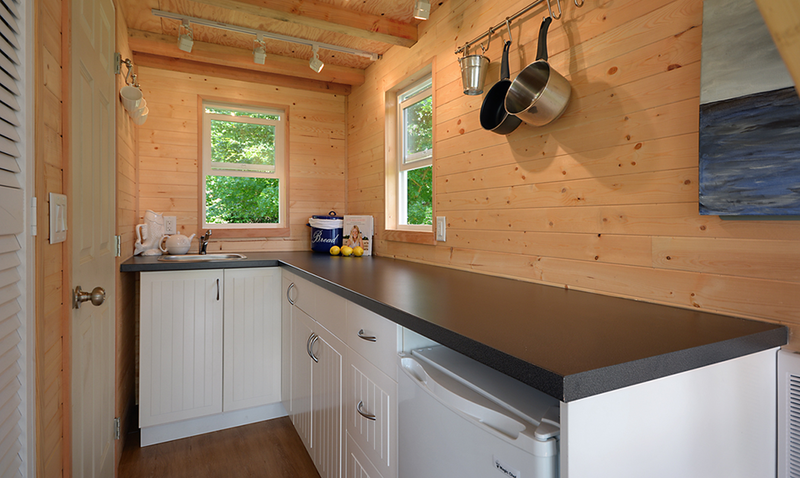 is this bright and airy wooden tiny home, called The Poco. The home comes with a fully fitted kitchen with a stainless steel sink, a cooktop unit designed to fit electric or propane and ample counterspace for a tiny house. The rest of the home contains a loft bedroom, a second loft area for storage, a living/dining room, a closet, and a fold-down stable that attaches to the wall. The homes are produced in Delta, British Columbia. 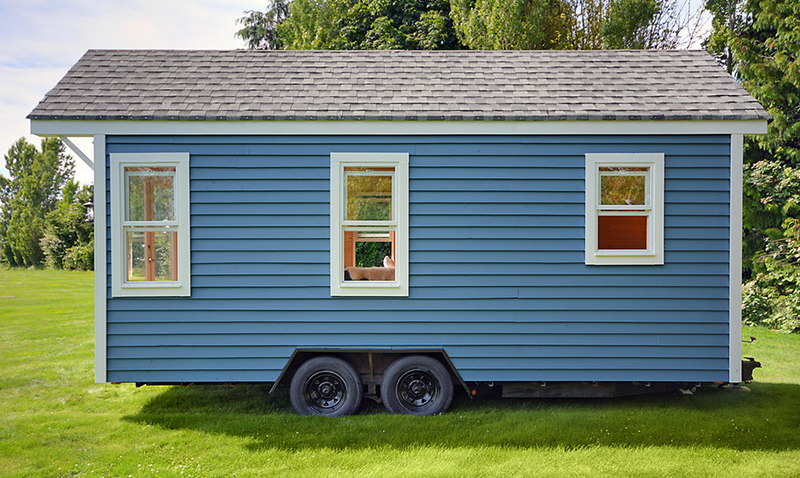 They come outfitted with RV supply water hook up, and are within the legal limit to be transported on the road. The company also offers shipping. 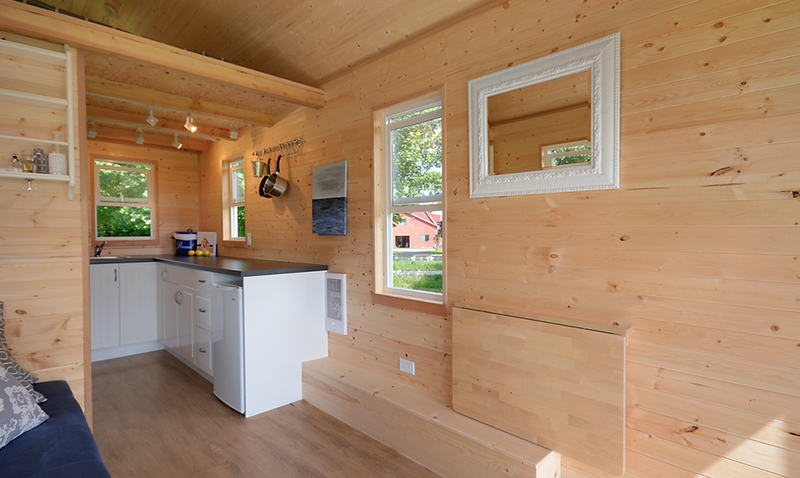 You can view the home’s floor plan here.